Maybe this should be under "ideas and suggestions"? I have used Samsung Smartthings (ST) for a while but there are some features that are missing in their system so i bought a Homey. The Homey flow is really nice but there are some things I cant get to work nicely. If you connect ST to Google Home (GH) all the devices from ST will be shown as devices in the GH app and when you say "hey Google, turn of all lights" it will turn off all light-devices connected to ST. But when i connect Homey I have to say "Hey Google, Tell Homey, turn off all lights". then the lights goes off and then Google says "ok, let me get Homey" and HOmey says "Homey got your message but didnt respond". even if he did respond by turning off all lights. Is there a way to connect Homey the same way ST connects to GH? 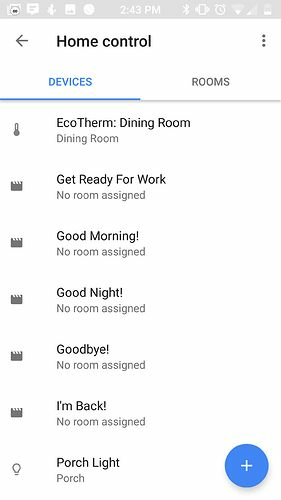 it takes 30 seconds and then you have all the devices and all flows in the Google Home app. Nice! so my problem is. 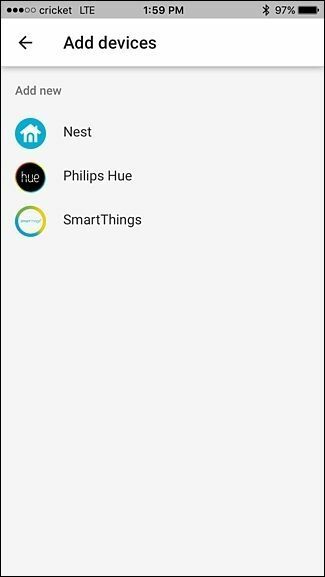 Smartthings is added really nicely where i can access my devices on the smartthings hub directly on google home by saying "hey google, turn on the lights"
but when im using Homey i have to say "hey google, tell homey, turn on the lights"
is there a way to integrate Homey like i integrate Smarthings? so the devices added to HOmey showas up as devices in Google home? You are actually right, Axel. The integration between SmartThings and Google Home is more flawless than of other hubs. However, let me double check on my end if we may have a workaround for this. Disclaimer: Please do not be disappointed. Yeay! Thank you! As of the moment, yes, we do support Homey, however, we only fully support its lights. Regarding the Homey hub, the reason why you have to say Homey on your command because we have no full support of the hub. So Google Home has to know that you want to control Homey and then connect with the Homey server before it can control the lights. Kind of like it has no direct route. We support the SmartThings Hub and that's why Google Home works perfectly with the Samsung SamrtThings hub and lights. so if i tell the "homey community" that they should fully integrate like Smartthings it would be possible? You are very much welcome, I know that's not the answer you would want. So tell you what, Axel, because I do not want you to lose your love for your Google Home. I'll take note of your request for your Homey and I'll personally send it over to our Products and Engineering Teams. That would be totally possible! Do not worry, I've got your request covered on Google Home's end, Axel! I would love to see this feature! This would make things way more easy for me, since I use a ton of IFTTT applets and homey flows to control things. My reasons for not using the actual Google Home-Homey solution: it doesnt work in german and I dislike the "Tell homey" part because that is not userfriendly and takes away the natural and responsive way to interact with Google Home (one of its huge advantages over other smart speaker). These points would be solved when homey could be integrated into Google Home by adding an account. Besides solving this issues I think that this would promote Homey a lot. Home (and Alexa) often act as smarthome's boarding drug and that way alot of new people would discover homey when zapping through supported Services. 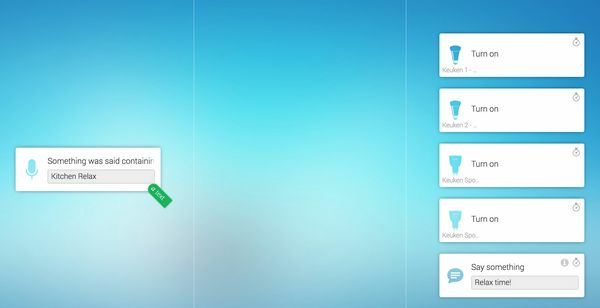 Why not use GH Shortcuts? he lights goes off and then Google says "ok, let me get Homey" and HOmey says "Homey got your message but didnt respond". even if he did respond by turning off all lights. Please read my 2 first comments on this post. this is a conversation between me and someone at Google Home. I do not recognise this. When I say: Hey Google <shortcut>, GH will start a Homey flow. Just as simple as that. Yes it will start the flow! But then after the flow have been executed Google Home says "Ok, let me get Homey " and then he answers. any suggestions how to abort the conversation between the bots.? My shortcut is "tell Homey, Summer". Summer is the name of the test flow i have created to turn on or off all lights. This will make GH say her phrase and then Homey responds. Yes, just like that. I did add text into the voice card now, but I remember when I did configure this flow it did also work adding spaces resulting in no feedback at all. the Google and Alexa integration are houtje touwtje. Totally agree with @mruiter. Well, somebody from the community is writing a better Alexa skill and is almost finished with it. He/she is going to hand over the code to Athom so they can integrate it in the Alexa skill. Hopefully there is some other hero that can do the same for the Google Home integration. Fully agree, it should be top prio for Athom to have a best in industry integration with Alexa / Google Home. The drive should not be tech related, it's commercial only. My google home mini is waiting under the Xmas tree. I can control my lights via homekit and Siri seamless. I hope this is also possible with Google home without my iPhone, without the ‘tell homey’ part. Can google home not talk to the HomeKit app or use ifttt hooks, to make it “ok google, dim the lights in the kitchen”? GH talk to Homekit app? Why? Using GH (after the setup on your phone with GH app (+GH assistant app) to integrate with Homey) you can easily use speech to Tell Homey ... command or much better use GH Shortcuts (nowadays multiple commands can be combined) to Tell Homey <A> and <B>. If I'm correct the Homekit app will update the status of a device (controlled by Homey). It's a breeze. You can for instance benifit from the much better integration with Chromecast devices and Spotify. For example a Shortcut: Music please will result in switching on a few devices using a Homey flow and stream a Spotify playlist to that device. An extra bonus is the voice control over the Spotify playlist (Next song, .....). How did you do this? Do you use the homey flow to stream something to Spotify? And how does GH pick this up so you can use next song etc? I use chromecast enabled devices. GH will control Spotify. The command Hey Google, Music please will start the Spotify flow and tricker the Homey flow. I can't get it to work with and. It sees all the text as one command. Can I force update somehow? Which version of Google home do I need? @hnijveen that's awesome. I didn't know you could trigger flows by saying "tell homey to <flowname>".. What do you put in the if column of that flow? If "this flow is triggered"?